Locpin has also recently won an opportunity to work with a leading UK grocer to develop a solution which will deliver a truly seamless customer experience and develop a more optimised supply chain using Locpin's innovative last mile technology. This represents a huge opportunity for Locpin to further test its solution, in a live environment, along with the support of the leading grocer’s senior management. There has been increasing interest in innovative last mile technology, primarily due to the inaccuracy of postal addressing around the world and the rapid growth of e-commerce deliveries. Successful customer-centric delivery has become a major pain point. Failed deliveries are costing UK retailers over £250m every year and up to £70 per appointment for services businesses. As demand for last mile services continues to rise, this problem will only become more significant. Locpin has a clearly differentiated position offering a proven, highly scalable and customer-centric solution which, crucially, does not require the adoption of an entirely new addressing standard, and works seamlessly alongside existing processes. Locpin’s enterprise SaaS platform enables customers to easily share their precise location and other valuable information to ensure deliveries and other vital services find their destination first time, every time. 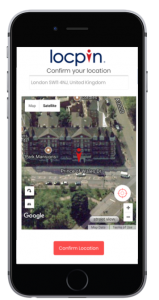 Originally conceived to serve the £260bn Global Parcels market where inefficiencies are a persistent drag on profitability, Locpin has application in all situations where accurate location data is a fundamental requirement of success and providers need to quickly, successfully deliver services. "Locpin is positioned in a fascinating sweet-spot of logistics technology, looking to solve limitations of addressing systems and challenges in last-mile logistics globally, that is attracting a good deal of investor interest. It is an early stage space and Locpin is one of the first businesses to gain significant commercial traction; businesses in this space have raised over £55m of investment in the last 3 years. We see a bright future for Locpin’s technology in helping its clients deliver savings in what is often one of the most challenging and costly parts of their business." “We have been impressed with the skills and ambition of the BCA team and look forward to working with them to secure the growth capital we require for the next phase of Locpin’s commercial development. Having already raised £600,000 in equity capital and secured a commercial contract with Belron which transforms the growth profile of our company, we are delighted to extend our shareholder base to others who share our vision of the digital future for global delivery and service logistics”. Locpin - www.locpin.com - is a smart location-technology company on a mission to take the guess work out of parcel and service delivery. Locpin’s technology platform enables customers to easily provide the precise location for any delivery globally, plus detailed directions and personalised preferences; helping businesses provide a better service in the Last Mile where traditional addressing is often inaccurate and unreliable, and failure rates have a significant impact on profitability and are a constant source of frustration for consumers. Bosham Capital Advisors (BCA) - www.boshamcapitaladvisors.com - is an independent investment, corporate finance and capital advisory firm, based in London. BCA provides investment, corporate finance, strategic advisory, M&A and capital raising services across the digital-media, disruptive technology, consumer and real estate sectors.